Before we start I want to place a stipulation on my choice of action films. These are movies which involve a hero against villain (usually European terrorist) and aren’t necessarily set in Science Fiction. This would rule out The Matrix, The Terminator Films or Aliens. It does include anything where it is soldiers/cops/average Joes trying to save the day with one-liners and extreme explosions. I published my first Twitter poll on Sunday and asked all my 117 followers which decade produced the best action movies. The options were 80s, 90s, 2000s and today. With a runaway success of 80% of the vote, the 80s won. I’m here to respectfully disagree with all those that bothered to vote. To start with, I understand why the 80s was chosen as the best decade for action movies. It gives us the iconic action movies with some of the best action heroes. The 80s was the decade that the big three action icons graced our screen in their best work yet. 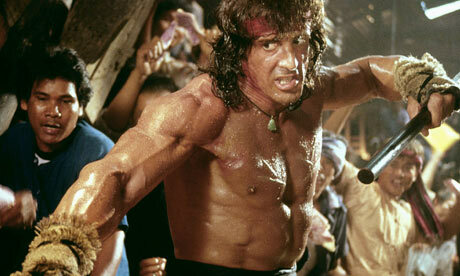 Sylvester Stallone would don the red bandanna in First Blood. Arnie would go Commando, as well as fight Predator and Bruce Willis would Die Hard in Nakatomi Plaza. These three are iconic heroes in amazing movies. Unfortunately, if you look over the rest of that decades offerings, the pickings are slim. At least, they are compared to the gluttony of action movies which the 90s produced. 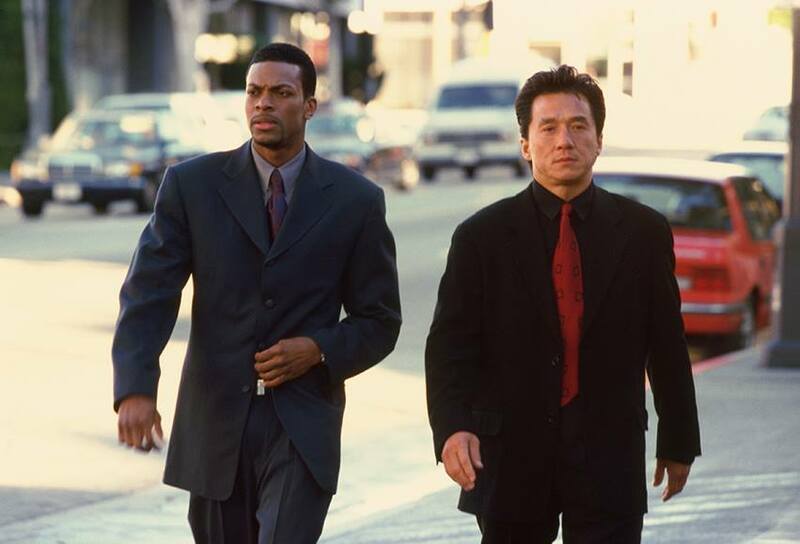 The 90s was the time of the high-concept, silly but cool action movie. It was the time when we said goodbye to big muscle-bound heroes and hello to the everyday man trying to make a living, who was caught in the wrong place at the wrong time. This means that we get some action classics like Air Force One, Con Air, Point Break or Speed. These are the movies that don’t take themselves too seriously but are strangely grounded in realism (or at least as real as you can get when a bus will explode below 50mph). Not only did the 90s give us the average Joes, it also delivered the comedy pairing. This wasn’t new of course, Lethal Weapon would first accomplish this in 1987, but directors like Michael Bay and producers like Jerry Bruckheimer would take this idea and run with it. It meant great movie pairings, like Nicholas Cage and Sean Connery in The Rock; Will Smith and Martin Lawrence in Bad Boys and Jackie Chan and Chris Tucker in Rush Hour. The 90s was also when the old action franchises were forced to get creative and evolve with the times. Die Hard 2 was a decent sequel but pair Samuel L Jackson with Bruce Willis and you have franchise gold. It was also time the old guard stepped up their game. Sylvester Stallone played down the indestructible action god in Cliffhanger while Arnie tried to play on his image in Last Action Hero (these worked to varying degrees of success). Finally, the 90s would give us the last bastion of mature, violent and sweary action films. In a time when John McClane is censored and The Expendables is given a PG13 (UK 12a) certificate, you can only look back at the action movies of old that let their heroes curse as they shed blood by the bucket-load. Overall, the 80s were great for action movies and delivered some finest examples of how the genre can be done successfully but the 90s took that foundation and built upon it beautifully, adding crazy plots, even crazier action sequences and casting which would be hard to believe today. In a time when our action stars are becoming censored and neutered, it’s hard not to look back on the 90s fondly as the best decade yet for action films. Lets bring back a time when our action heroes are at least allowed to swear! Interesting post, 90s are my favourite also 🙂 though nothing really beats Die Hard! Generally though, I do love the madness of the 90s action movies (totally agree there!) Face Off and Con Air are two of my personal favourites – and good examples of the madness! Haha. Die Hard is the greatest of all time. The decade which created action classics is the 90s and for the two movies you mentioned alone! Woo! Glad we’re in agreement 🙂 I actually watched Con Air again a few days ago and it really does fill me with glee!